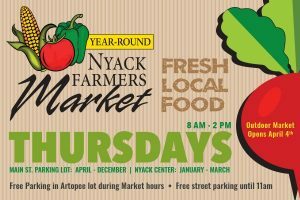 Opening Day of the Outdoor Farmers’ Market in the Main Street Parking Lot is this week on Thursday, April 4th! Along with all of the familiar faces from the Winter Farmers’ Market, be sure to come down to welcome back some of our outdoor weekly vendors like Doc Pickle, Edgewick Farms with their variety of creamy goat cheeses, Hummingbird Ranch with their wide selection of maple and honey products, and Warwick Valley Winery with their locally produced wine, liquor, and cider products. 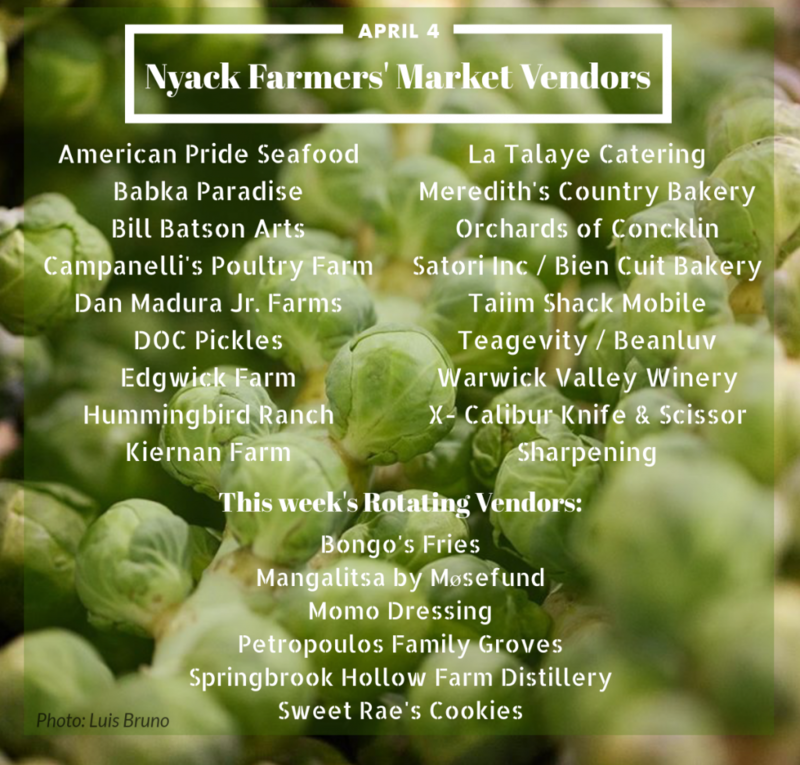 Click for more info on this week’s vendors! Making their market debut are new rotating vendors, Bongo’s Fries, offering hand-cut fries and artisanal dipping sauces, and Sweet Rae’s Cookies, offering traditional, gluten-free, and vegan treats. Also joining us at the market this week are sponsors Strawtown Studios and Green Mountain Energy. Enjoy live music while you shop by singer-songwriter Richard A. Maldonado (9am – 10am); our favorite fiddler, Ian Moore (10am – 11am); “Human Jukebox” Jeff Rubin (11am-1pm), and soulful singer-songwriter John Malino (1pm – 2pm). The weather looks perfect for hanging out with our wonderful vendors, doing your weekly shopping, and enjoying some great music, cooking demonstrations, and much more. So come meet us outside in the Main Street Parking Lot this (and every!) Thursday from 8am-2pm!